‍Earlier this week, a bill was introduced in Washington state to ban pot shops from accepting bitcoins. Some of the biggest names in cannabis, however, have already dipped their toes into the digital currency market. One of the most storied functional glass makers in the history of glass (he’s done works for the Dalai Lama and Snoop Dogg) accepts bitcoins and offers a steep discount to those who pay in the digital currency. 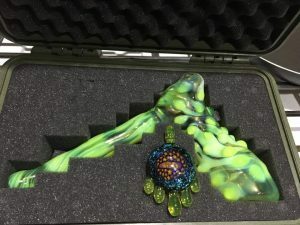 “Jerome Baker himself (Jason Harris) will make you a beautiful hand made glass Bubbler – old school style – for one BITCOIN,” reads the Jerome Baker Designs (JBD) website. By sending bitcoins to the company’s public Bitcoin address, and confirming a shipping address via email, bitcoiners can make the so-called ‘Slyme Bubbler’ their own. There are various examples of businesses giving discounts for Bitcoin. Purse.io offers consumers discounts at Amazon. Gyft offers 3% back on gift cards for bitcoins. Fold saves people 20% at Starbucks. Vapeboy offers 5% off vape liquids, including their Satoshi Nakamoto flavor. While he lived in Oregon, the DEA arrested Mr. Harris as part of Operation Pipe Dreams and Operation Headhunter. Tommy Chong served time for his functional glass products as a result of the operation. By the time of his arrest, which some content was merely for being a symbol of US cannabis culture, Mr. Harris had a functional glass empire and was known worldwide. The federal government labelled the operation an illicit enterprise and seized company assets. 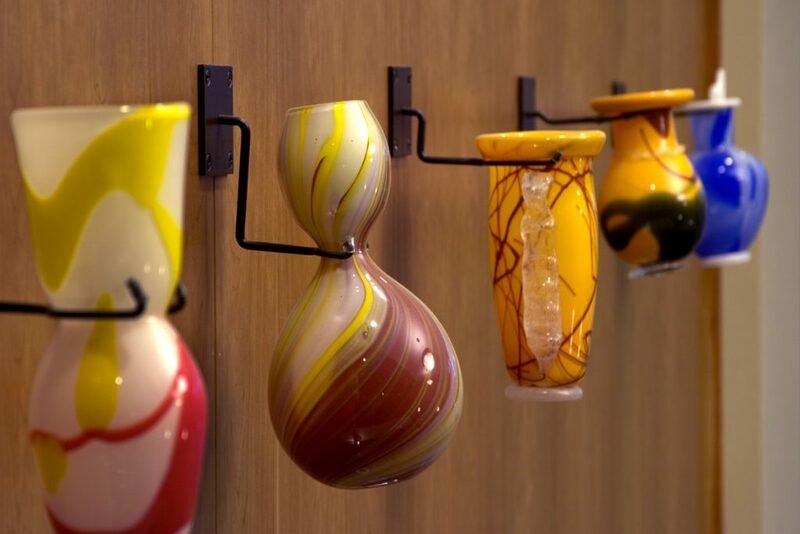 Mr. Harris, a founding member of the Eugene Glass School in Eugene, Oregon was indicted alongside 50 individuals on charges of trafficking in illegal drug paraphernalia. According to authorities, he had partly succeeded because of the internet. Mr. Harris laid low thereafter and turned the JBD brand into a skateboarding-focused lifestyle brand. 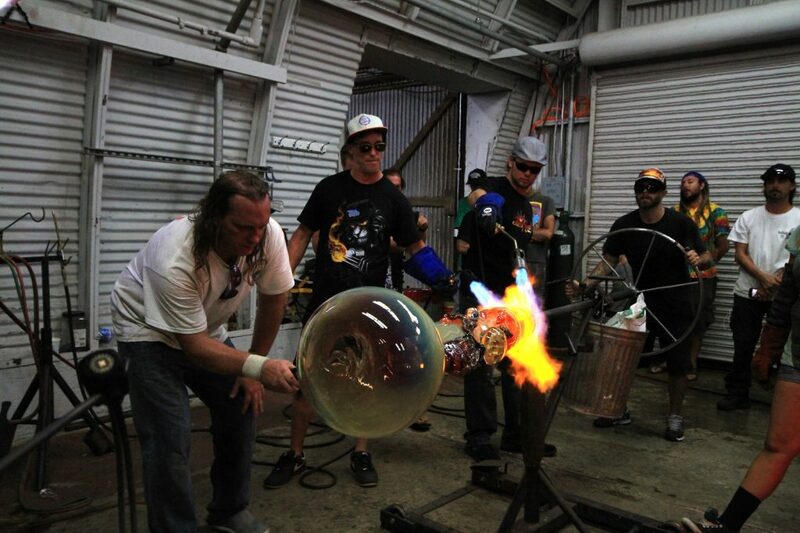 After moving to Maui to soak up the sun and ride the waves, he focused on non-functional glass, making high end installations for exclusive clientele as Maui Glass Blowing. With marijuana legalized either medicinally or recreationally in 35 states and Washington, D.C., Mr. Harris’ functional talents are enjoying renewed demand. He recently designed a $18,000 nug jug for entertainer Snoop Dogg. Like the internet helped Mr. Baker build his business empire of the nineties and early oughts, many say Bitcoin could become a tool to help cannabis industry payments. What do you think about the merging of cannabis and Bitcoin? Let us know in the comments below. Are you a cannabis operation that is looking for Bitcoin alternatives? Bitcoin.com has a vast array of resources to help your business get started. We have information on everything Bitcoin-related from wallets to exchanges, and a merchant section that gives great instructions. Bitcoin.com is the go-to portal for all things Bitcoin.